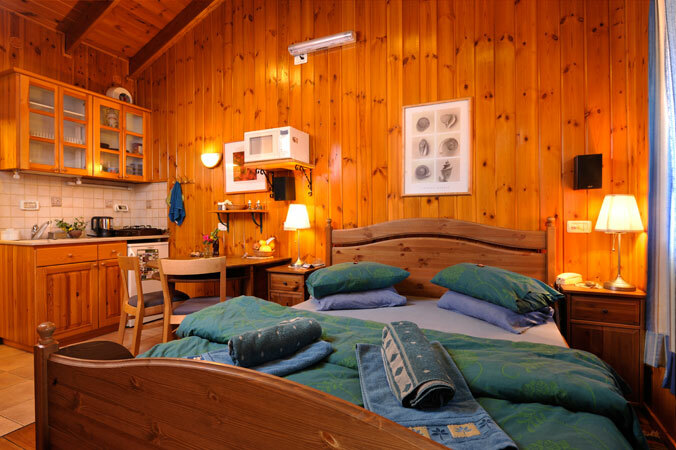 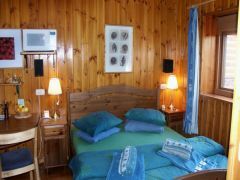 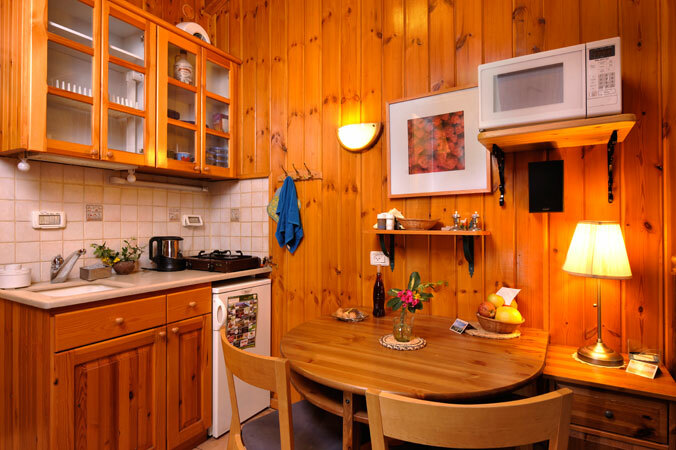 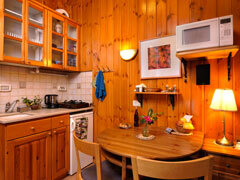 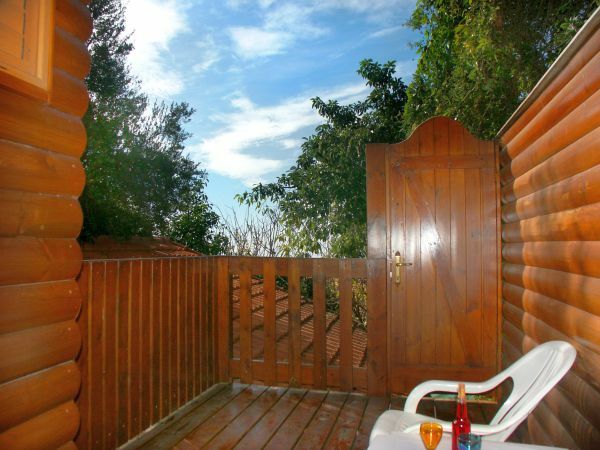 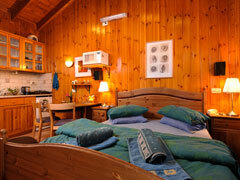 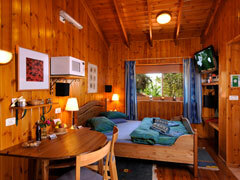 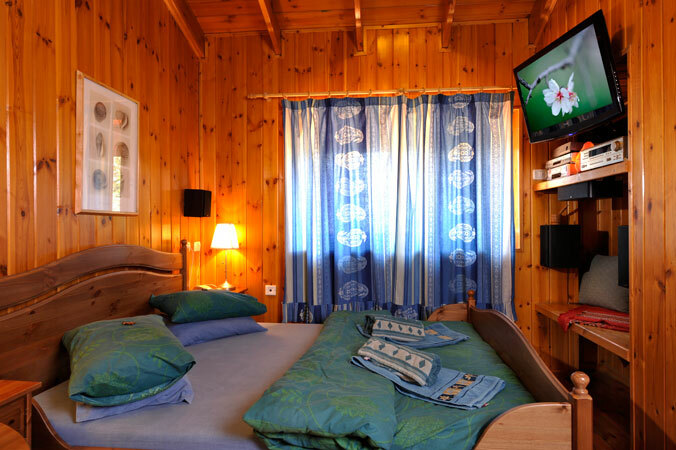 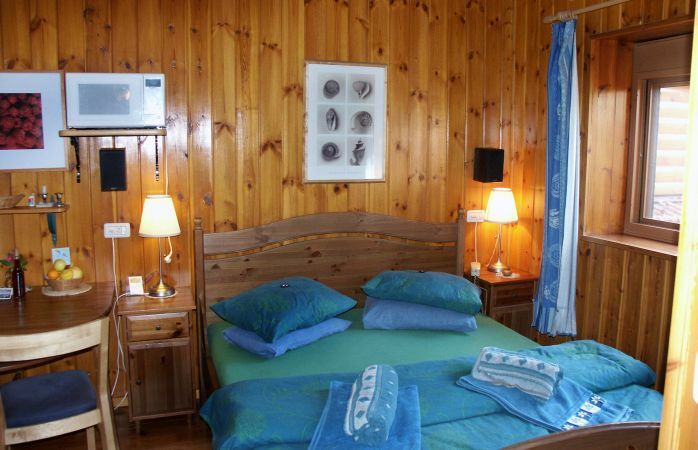 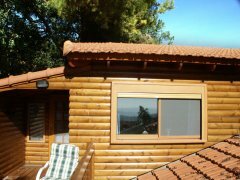 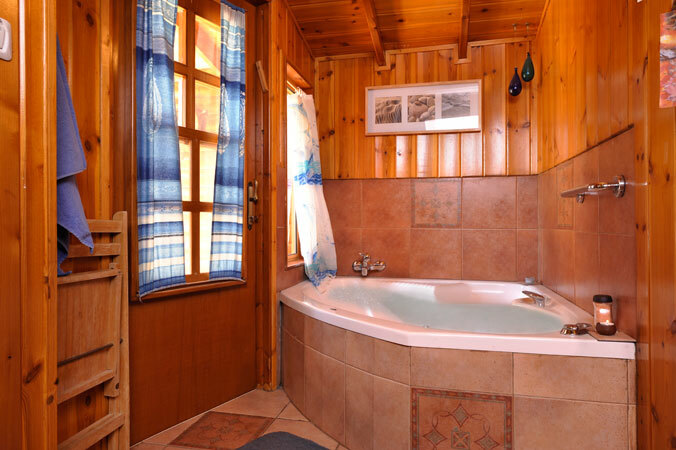 Very private high-ceilinged wooden cabin for romantic couple. 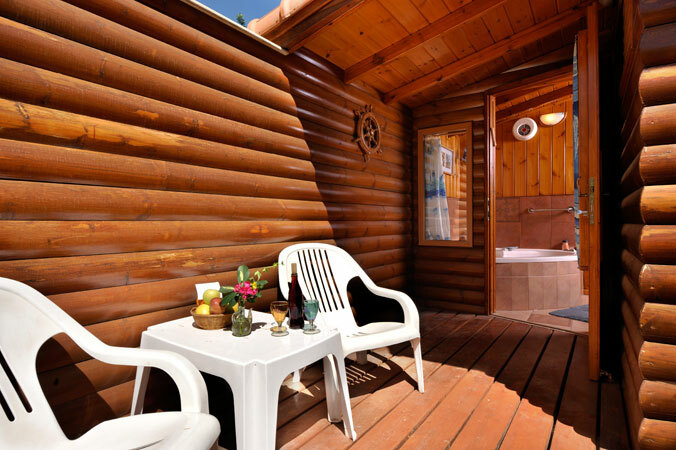 There is no view from this cabin. 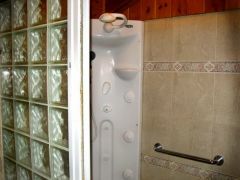 The cabin includes a double Jacuzzi corner, kitchenette, dining area, Home Theater TV system, AC systems (independent cooling and heating), and a clothes closet. 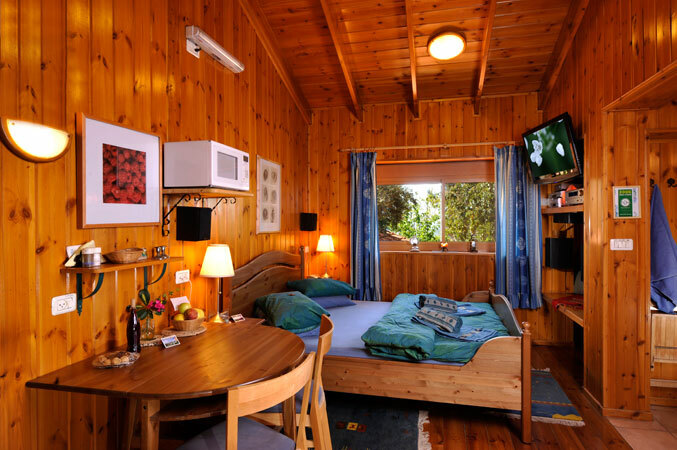 We can provide an additional mattress for a child. 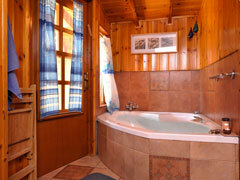 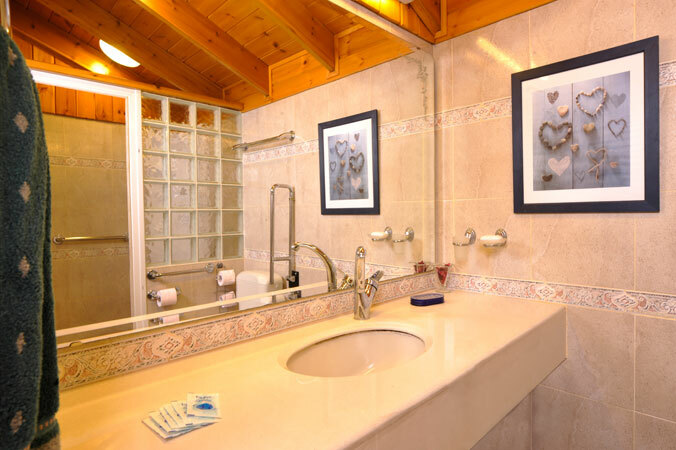 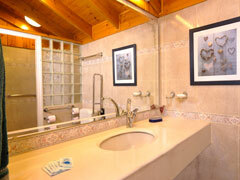 The shower stall, with its wood-paneled high-ceiling, has stand-up jacuzzi shower jets. 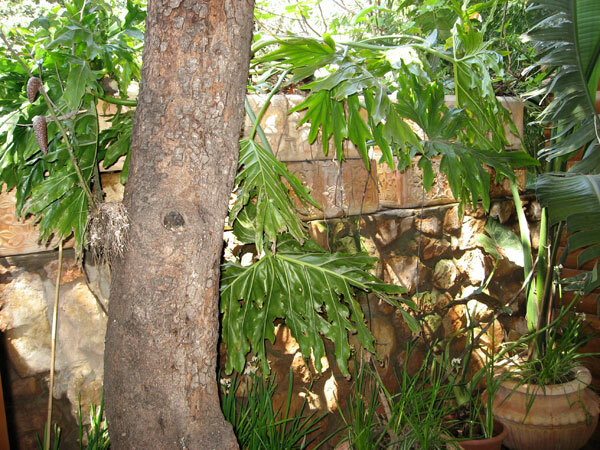 The patio entrance features an ancient carob tree. There is a porch overlooking our fruit trees which includes a wood-beamed roofed section and an open side for sunbathing and seating arrangement. 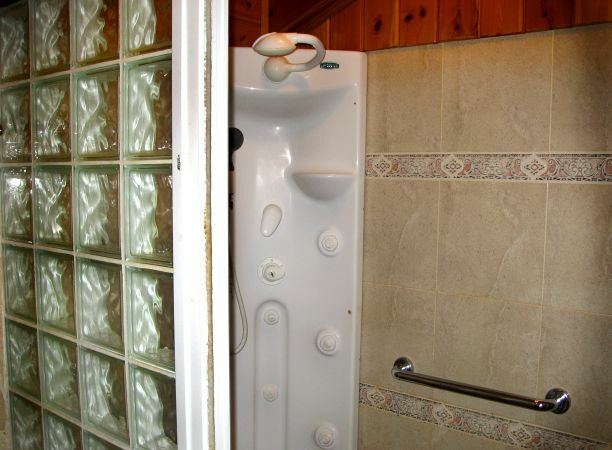 Wheelchair accessible - net entrance opening - 59 c"m, special handle near the toilet. 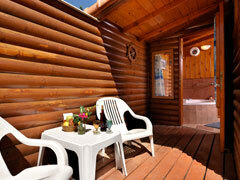 Unit with Private PorchMade of rounded logs, and with outdoor seating area. 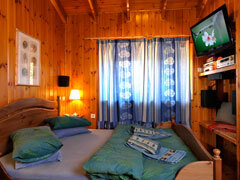 43" TVHD DVD, Satellite - HD - all channels except channels on order for special fee (blocked). 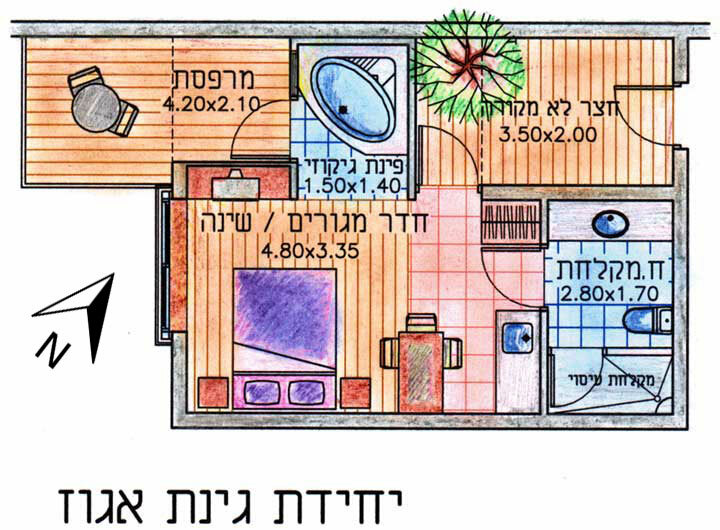 Illustrated Kitchen I**Two-flame gas cooker, 140-liter fridge, service freezer (soft ice-cream), Espresso machine + capsules, electric water pitcher, microwave oven, electric stove 30 Liter, 2-Slice Toaster, cooking and serving dishes, Quality NesCafe, Regular NesCafe, Turkish coffee, sugar, tea, herb tea, oil for frying.